As I go over the Christmas lists I have got from my children I can not help but wonder which one of the items they asked for would make the perfect Christmas Gift. Over the years, I have some difficult gift choices to make and that is why I love the gift pack set you can buy and Walmart has a large selection of these for everyone on your list. When the air gets drier and the snow starts falling, give the gift of smooth skin. This Olay &Venuspackage comes with all the perfect ingredients to make skin glow this holiday season. Olay moisturizer and body wash with Shea butter, will keep your skin smooth through winter’s toughest days. 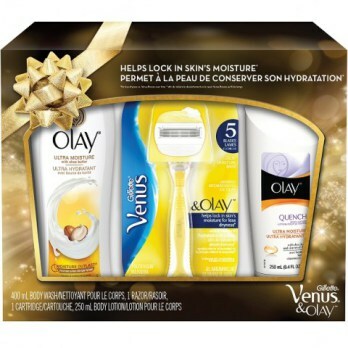 Olay & Venus holiday gift pack retails at $14.97 and contains 1 Olay Ultra Moisture Body Wash, 1 Olay Ultra Moisture Body Lotion and 1Venusrazor with cartridge. Light sabers and space ships, this Star Wars package is sure to get kids excited about oral hygiene. The toothbrush timer counts down the seconds until teeth are clean. 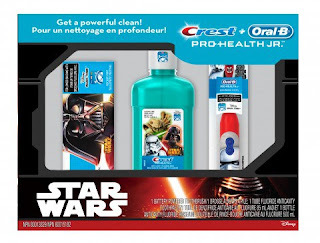 Defeat the cavities of the dark side and brush for clean, healthy teeth. Know someone who’s all about confidence and swagger. Give him an extra boost with thisOld Spice Swagger package. Filled with smooth soaps and scents, this package will be sure to make him Old Spice smooth. 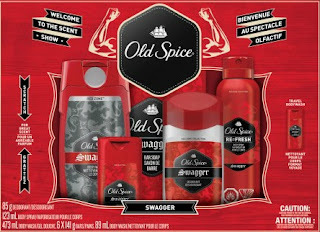 Old Spice Holiday Pack retails at $14.97 and contains 1 Old Spice Pure Sport body wash, 1 Old Spice Pure Sport travel body wash, 1 Old Spice Pure Sport deodorant, 1Old Spice Pure Sport body spray and 6 Old Spice Pure Sport bars. These are just a sample of the great packages available at Walmart this holiday season. To find a package that’s just right for everyone on your list, visit Walmart.ca or a local Walmart store near you. Do you see a gift set that would be perfect for someone on your list? 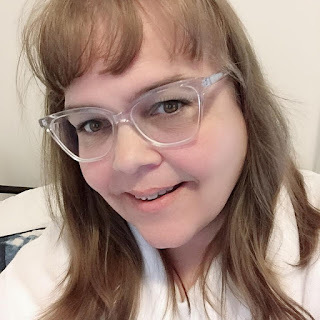 To help make the gift-giving easier, It's Just My Life and P&G are giving away a $50 Walmart Gift Card to one lucky reader.